64 pages. Illustrated in color throughout. Hardcover with dust jacket. Published on the occasion of the exhibition, de Kooning Sculptures, 1972-1974, this catalogue includes full plate images and details of the seminal body of work, as well as Paintings Made of Clay: The Sculpture of Willem de Kooning, an essay by George Condo. For de Kooning, the exploration of sculpture, which he began at the age of 65, was intended as an extension of the paintings for which he is widely known and acclaimed. His first sculptures were created in the summer of 1969, when he modeled small figures in clay. From 1972–1974, Willem de Kooning continued his exploration of sculpture at his studio and home in East Hampton, producing eleven new works on a larger scale. 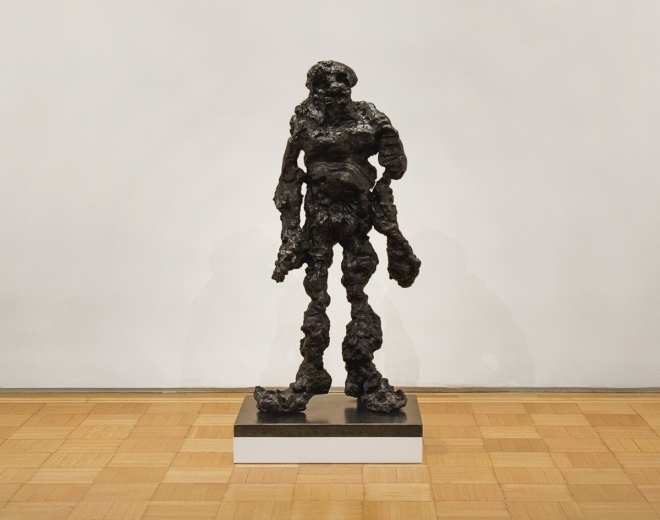 De Kooning drew inspiration from his surroundings, particularly in his major sculpture, Clamdigger, while infusing a sense of emotion and immediacy in the figures rendered in wet, malleable clay.